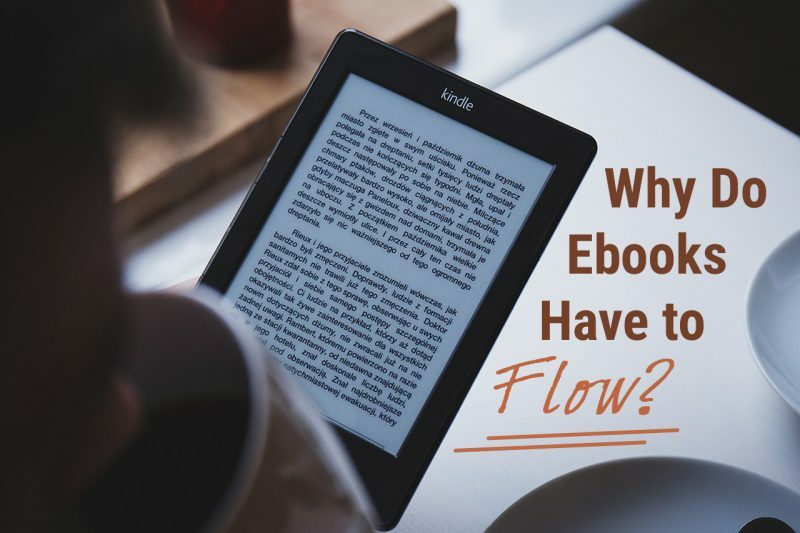 Ebook Formatting: Why Ebooks Have to Flow? You control the layout. It's a fixed format. The words, fonts, and font sizes appear on the printed page exactly where you put them, and everyone that reads the book will see the same layout. People that read your book cannot change how it looks like in terms of page size, layout, page color, etc. If some text begins on a certain page—it will always be there no matter what the reader does with the book. There is no "page" per se! Your ebook will look different on every e-reading device. What one person sees on their screen will not necessarily be on another person's screen. Text of your ebook will shape, shift, reflow, and look good on multiple screen sizes. Unlike print edition, it's important that your ebook is formatted and/or coded to liberate the words in digital form so they can adapt to various devices. The less fixed parts your book has, the better it will behave. The same source file was used to display a book chapter on both devices. Chapter text fills both screens differently, yet looks good on either—that's what eBooks are all about. Reflowability! Notice how the same source file has adapted to two different screen sizes!